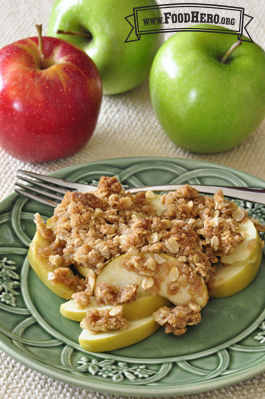 2 Comments for "Winter Fruit Crisp"
This is my favorite go-to recipe for a quick dessert! I usually use Granny Smith apples. My husband loves it! Great recipe! Super fast to make, I am sure no-fail, used up 4 apples I didn't want to go bad, and everyone loved it! Next time I hope to try pears...and add in some more spices, maybe ground cloves.